The stars seemed to have been aligned for Avery and Alicia. From the outside looking in, Lady Luck passed their way and left a fortune! They had a whirlwind, fairytale romance filled with all the little things that make dreams come true: a wedding of grace and beauty, and perfectly magical careers that produced almost enough money to burn. They were the picture-perfect couple. Unfortunately, time has a way of revealing fissures in what appears to the naked eye as impenetrable. The results send this fairytale romance spiraling out of control. Avery, as perfect and so right as he seemed, struggles to free himself from his demons. He clings to this delicate relationship that he desperately needs as if his last breath depends on it. Alicia, on the other hand, struggles to make the necessary corrections that will release her from a prison of unexpected, agonizing turmoil. 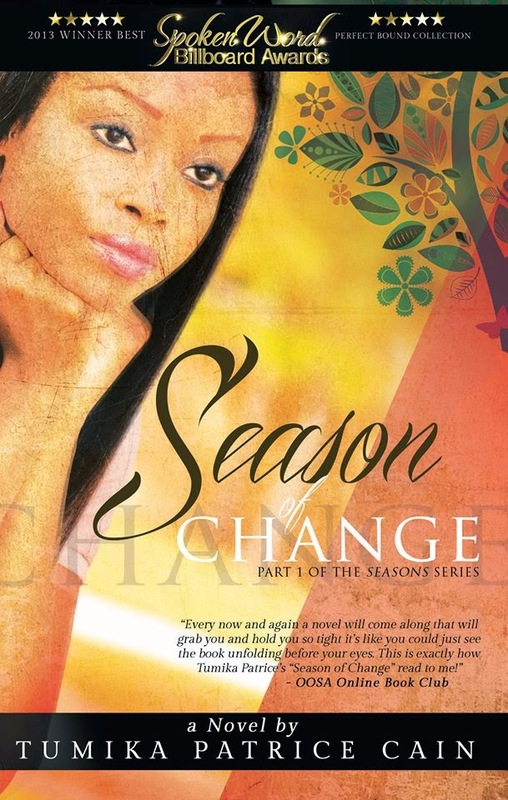 A novel of enduring strength, undeniable empowerment, and the compelling ability to overcome incredible odds, Season of Change is a powerhouse that will impact readers long after the last words have been read. If you're thinking that you're going to be doing some light reading by picking up Season of Change you thought wrong. This novel addresses some very graphic and sadistic abuse, of varying natures. I found it confronting and disturbing, and was very tempted to stop reading at many points, yet something drew me on. Will Alicia survive? If so, will she stay or leave? Does Avery confront his demons? Will he get the help he so desperately needs? I found the shift of focus between characters from chapter to chapter a little disconcerting, as I have never read a book written in this manner before. Having said that, it was interesting to see the story from multiple viewpoints. The story was well written, characters were well developed and subject matter well researched. There is a Christian theme, but it does not become evident until the final chapters. I do not recommend this book to anyone under the age of 18 years. I purchased this book from iTunes for the purpose of review at the request of the Author (via a mutual friend), my review is my own opinion and is not required to be positive.